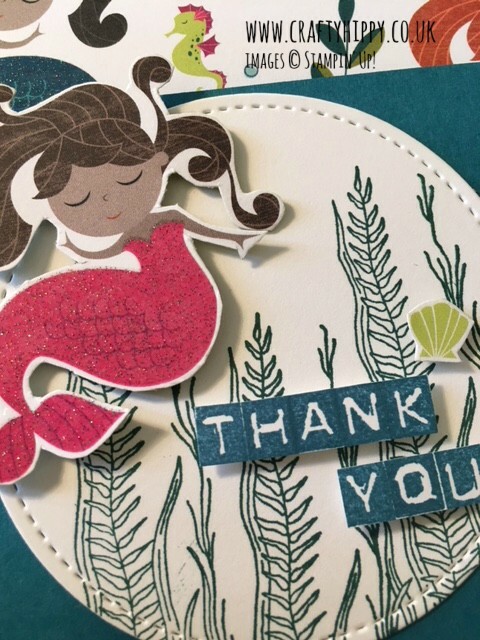 Gorgeous mermaids from the Myths & Magic Specialty Designer Series Paper from Stampin' Up! Have you seen our Myths & Magic Specialty Designer Series Paper? This paper is just SO gorgeous. Packed full of singing mermaids, prancing unicorns, fire-breathing dragons and enchanting wizards. All in irridescent glory. On the other side of the paper you have bright, fun and all-occasion patterns. Perfect for all sorts of papercraft projects. The best thing about this paper is not only can you use it as a bold background for your projects, but you can also cut out these wonderful characters to use as embellishments. bubbles that you can cut out and use for extra depth and dimension. 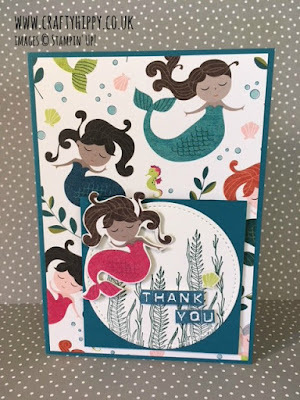 As well as the Myths & Magic paper I used two stamp sets: the Labeler Alphabet for the sentiment and the Magical Mermaid stamp set for the weeds in the background, which goes really well with the cartoon-style mermaids. I used Island Indigo and Tranquil Tide ink. 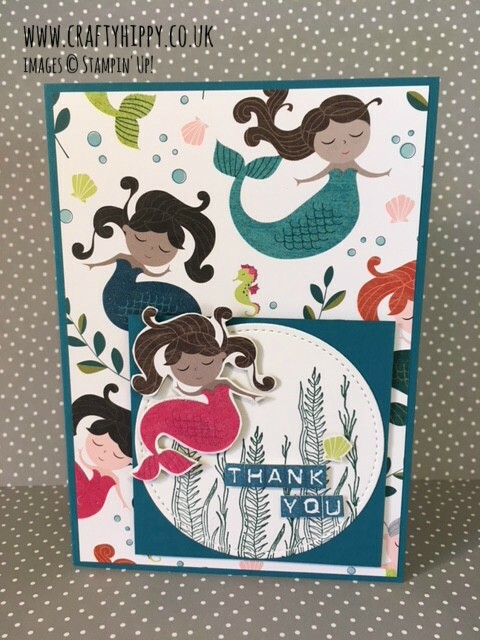 Have you used the Myths & Magic Specialty Designer Series Paper yet? Please send me your creations! I'd love to see what you have created with it.